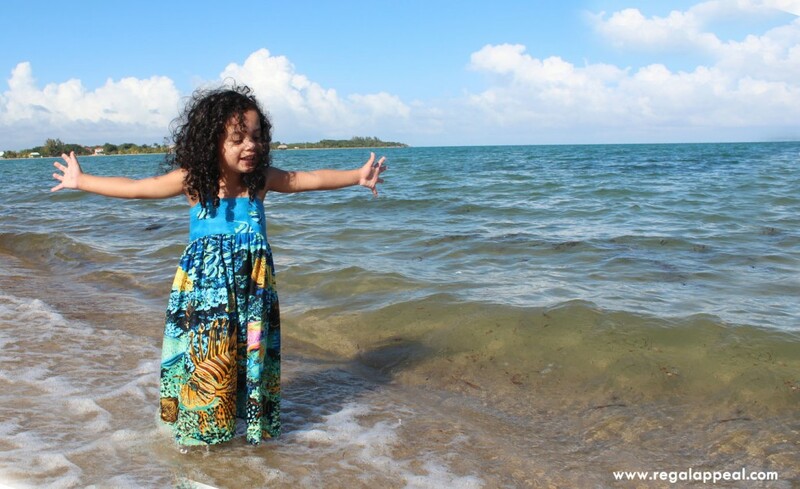 Welcome to Part 7 of our Christmas in Belize! 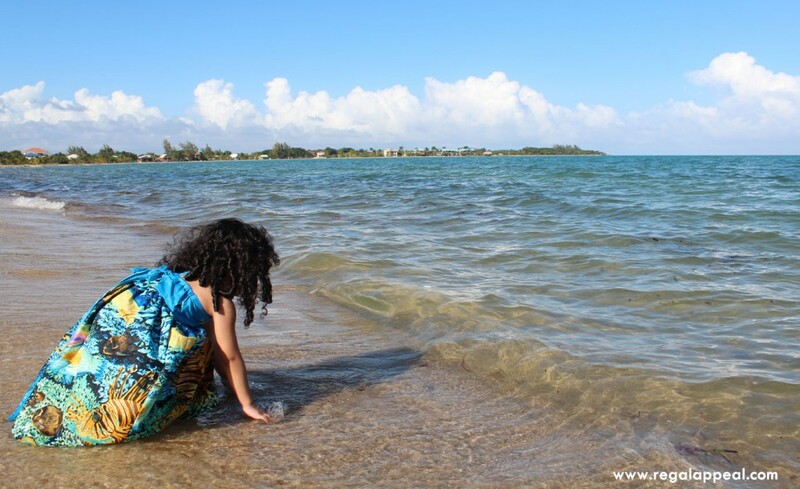 Gosh, I don’t think I’ve ever blogged on Saturday before! Oh well, there’s a first for everything right?! 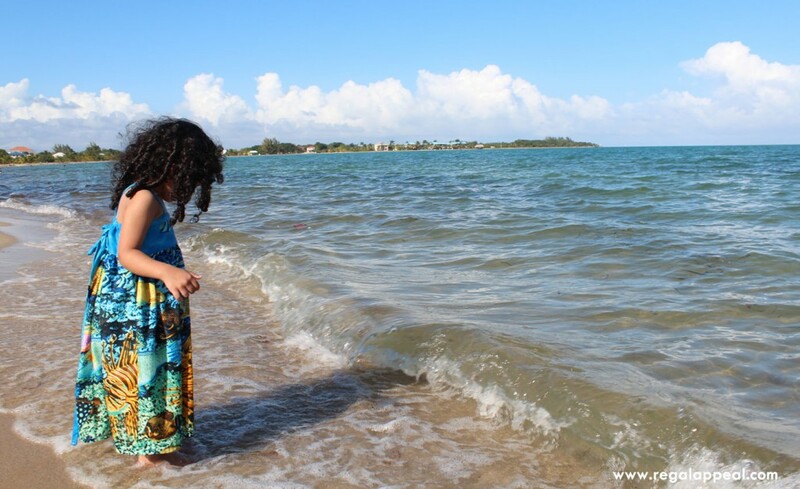 Today’s blog feature is very exciting for several reasons: 1, We drove into Placencia for the day and neither the hubby or I have ever been, so it was a chance to scratch that off our ever growing “Bucket List”. 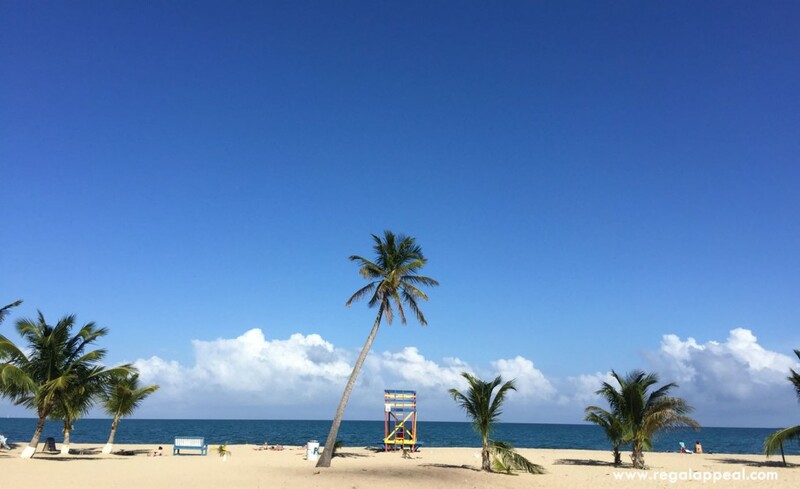 Placencia is a peninsula that is (roughly) 16 miles of gorgeous white sandy beaches with waters that are clear and warm. 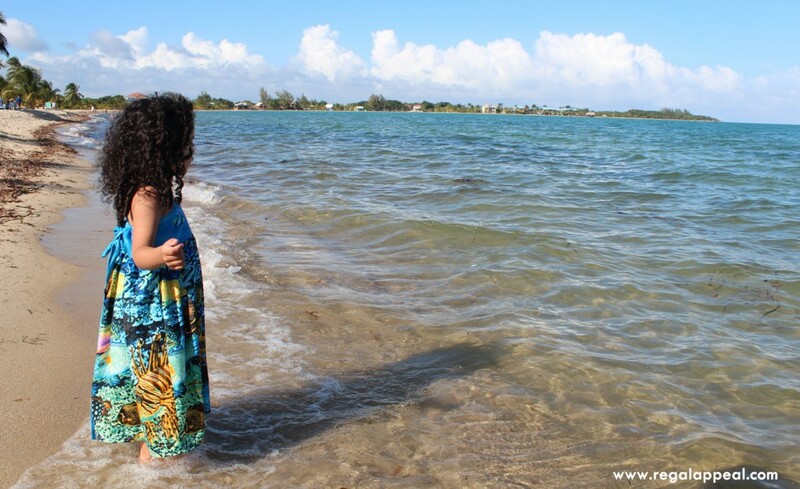 Perfect for a getaway! 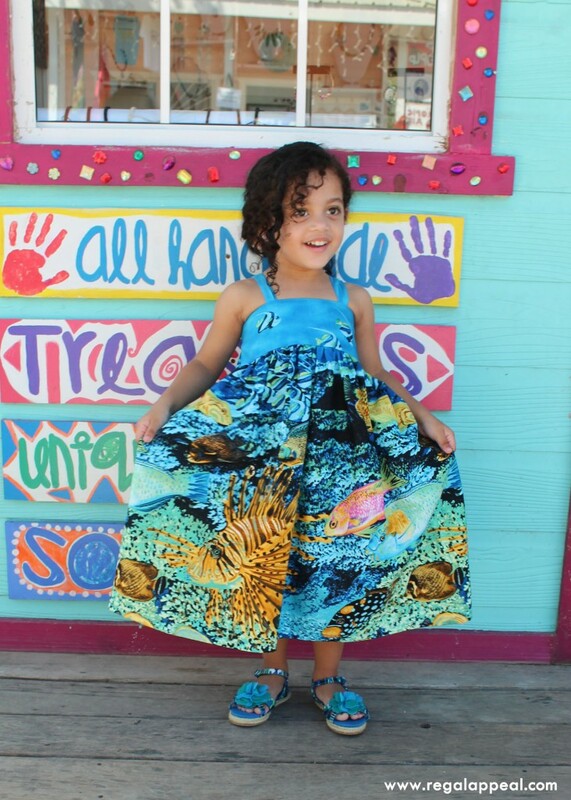 And 2, I drafted this dress from my head, and nailed it on the first try so I was pretty pleased! 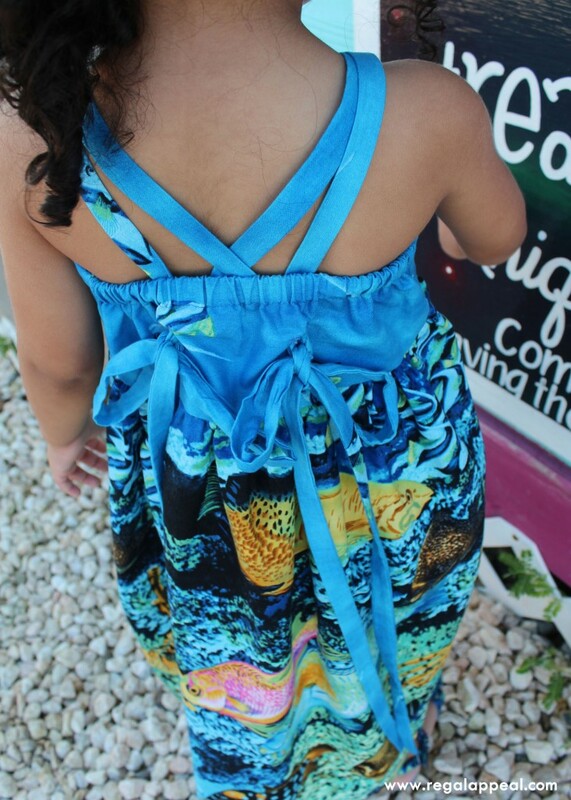 It has a lined square bodice with an elastic casing at the back and two sets of straps that could either go straight down or crisscrossed at the back (as styled in this post) and secured by bows. 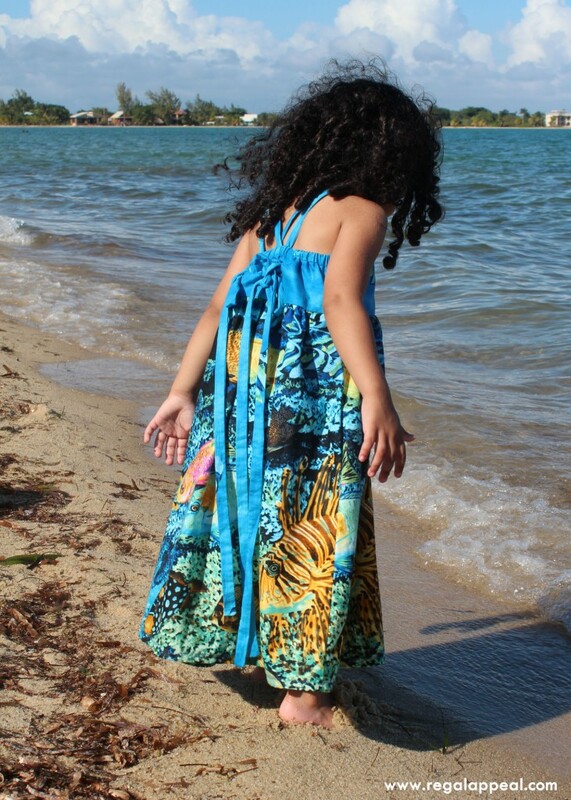 I wanted her to have this dress and still be able to use it for a long time, so the elastic casing, adjustable straps and maxi length was the perfect recipe to guarantee a few good years of use. 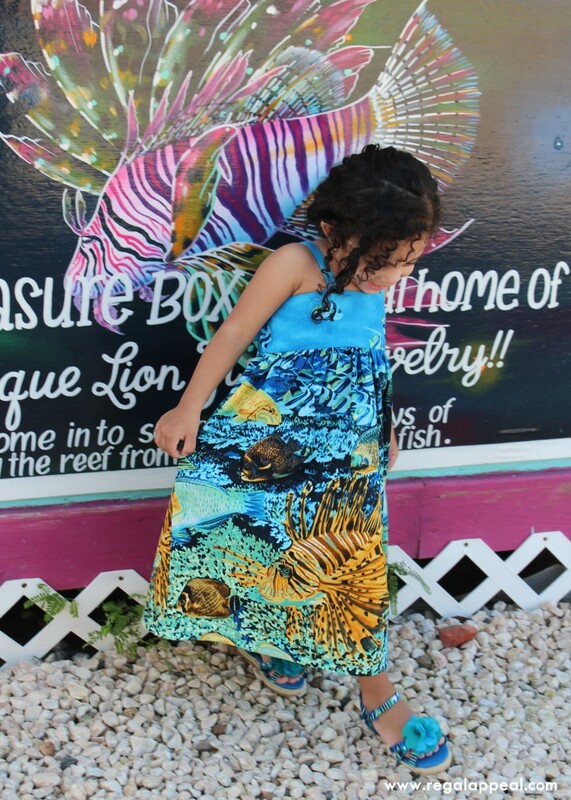 I was also very excited about this dress because the beautiful underwater print reminded me of home (Belize) so I was especially happy to get the chance to actually photograph it IN Belize! 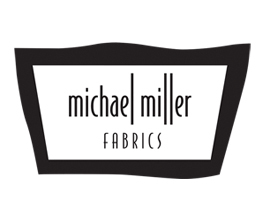 (Fabric from Michael Miller’s Reef Madness Collection can be found HERE). 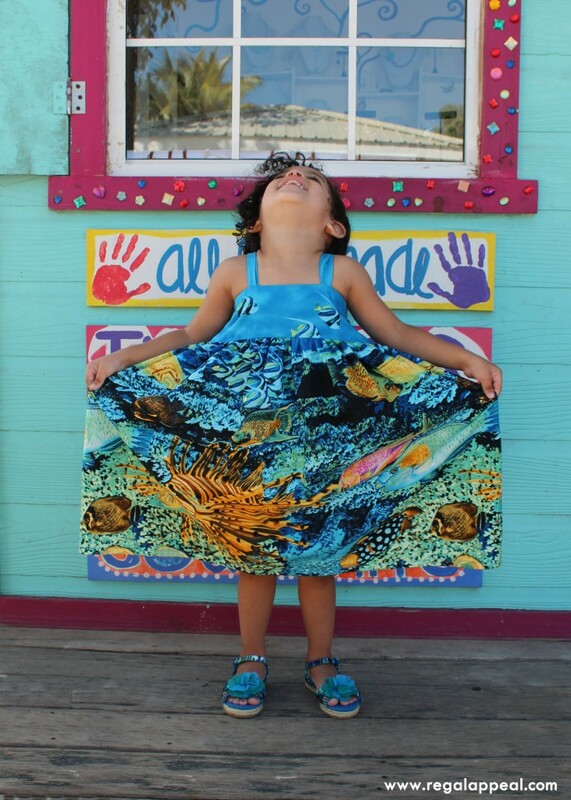 Placencia was perfect to photograph this dress for two reasons. 1. 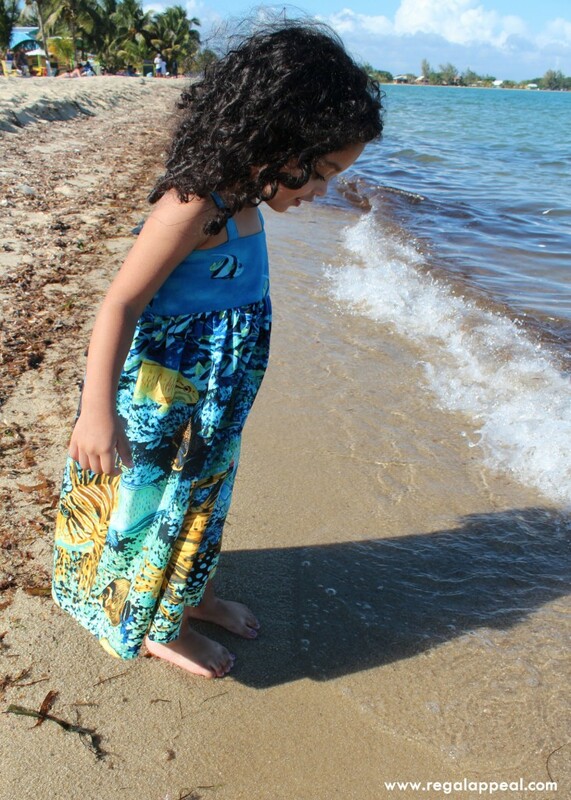 What better place to photograph a dress with an under water ocean theme, than near the ocean, right? And 2, THE TREASURE BOX! 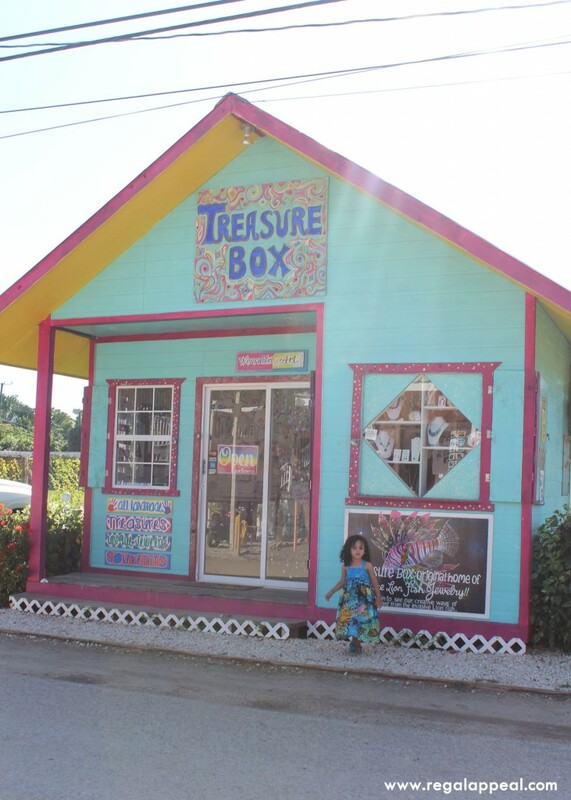 The Treasure Box is a little gift shop located on the Main Street of Placencia, that is owned and operated by Khadija Assales. 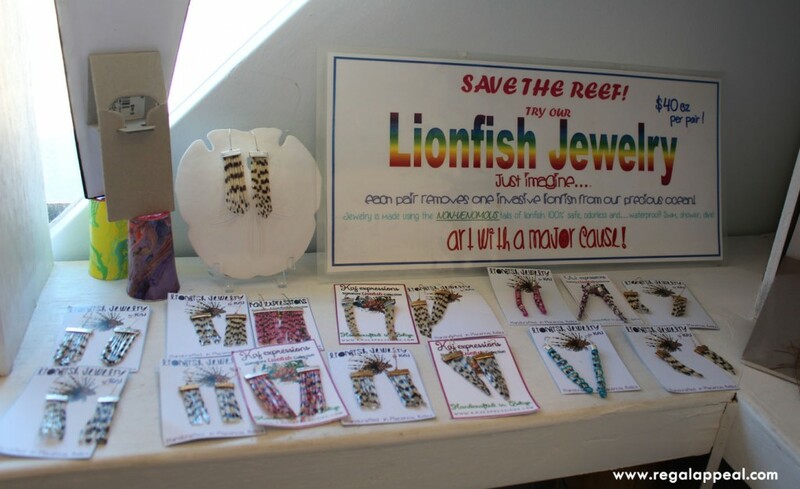 She is an exceptional artist who incorporates her love for art with her passion for marine conservation by creating unique jewelry pieces using the non-venomous tails of the Lionfish. She also creates other breathtaking pieces using fresh water pearls and sea glass, I wouldn’t do her justice if I tried to explain, so please visit her Facebook page HERE and see for yourself! =) But why the Treasure Box you ask? 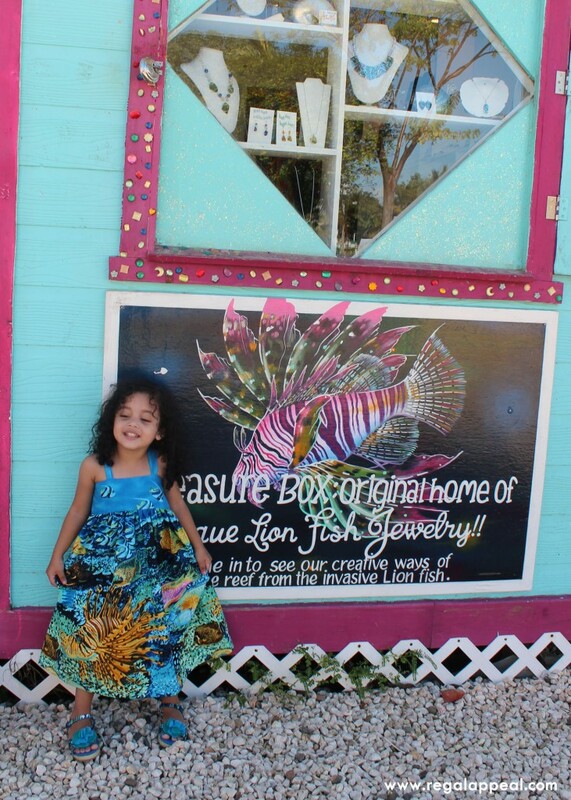 Well, because on the front of the Treasure Box there is a beautiful painting of a Lionfish, annnnnnd….there is a picture of a Lionfish on Abbie’s dress – soooo naturally I just had to get a photograph of the both of them! 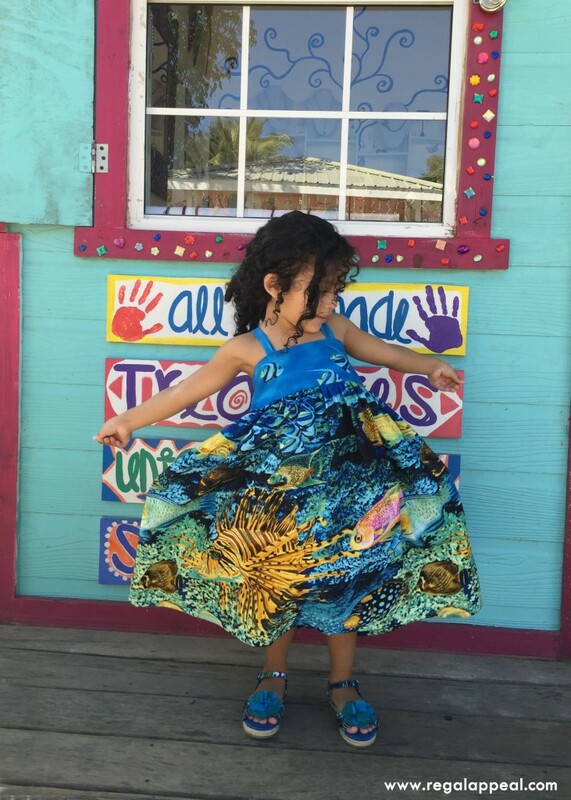 But enough of my blabbering…let’s get to the pictures! 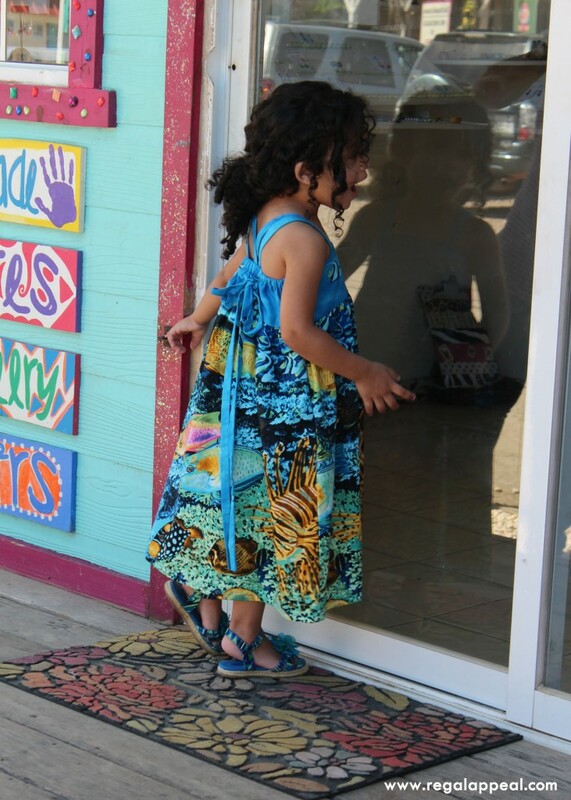 After taking a few pictures outside, we went inside the store so I could shop for something for myself. 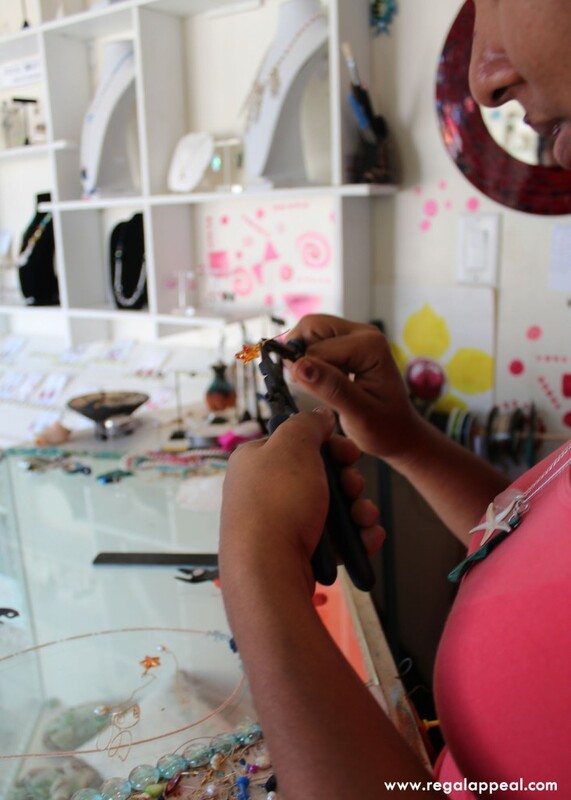 As I was ooohing and aahhhing over each exquisite piece I came across, Khadija was right there making the jewelry as I went along – that was pretty cool to see firsthand. 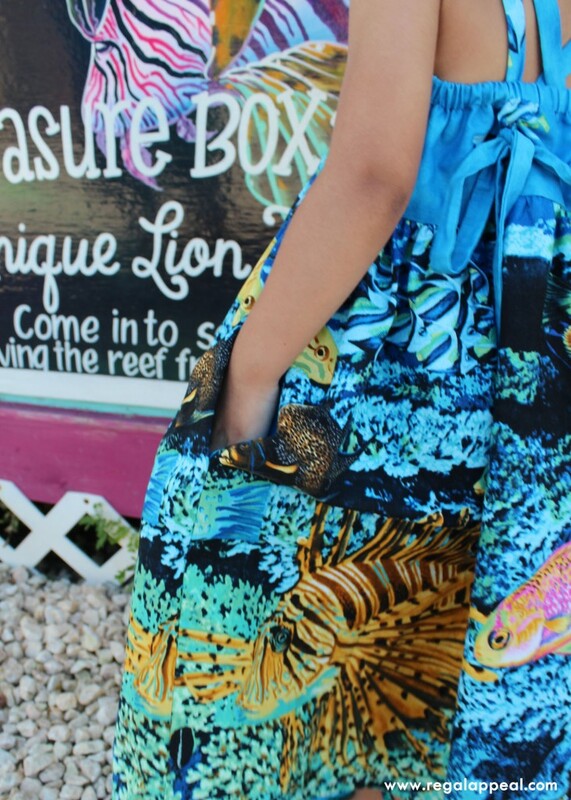 I bought myself a pair of beautiful Lion Fish earrings (that I will wear very soon, stay tuned on IG for that one), took a few more pictures and then set out to find the beach! 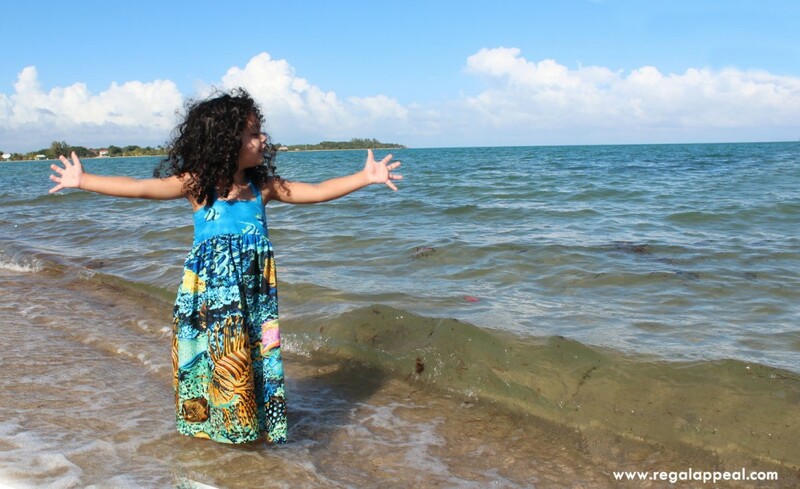 The beach was gorgeous, and as you can see….Abigail loved it. “I LOVE THISSSSSSSSS!!!! !” – she said. 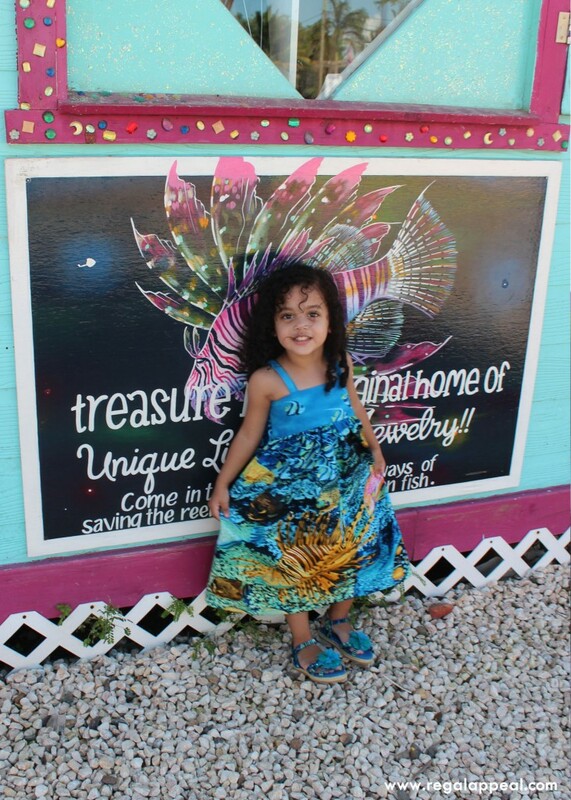 « Our Christmas in Belize – PART 6 – A Short Feature.